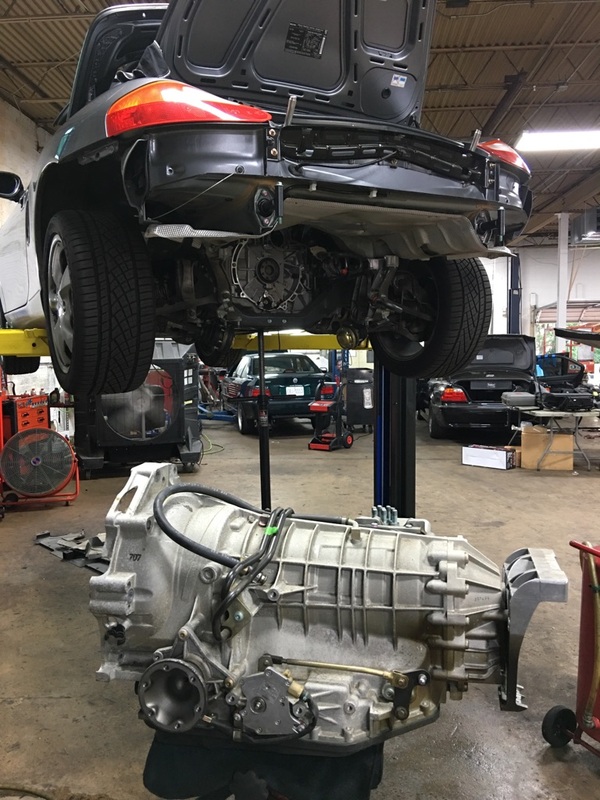 Porsche Boxster IMS installation at the shop today. IMS *bearing* failures are a real problem. The bearing that supports the intermediate shaft was poorly designed and prone to failure. It gives little to no warning before it fails and when it does fail it destroys your motor. Dead, done – you’re not rebuilding the old motor because it’s fu^%ed. You’re buying a new motor. This has been discussed to death on line, and then discussed a zillion times more. In the end though, the answer is always the same, only Porsche knows, and they probably don’t even know, and at any rate they are *not* saying anything. Problem is that Porsche replaced a lot of engines in the first five years or so, all under warranty. Not all of them were IMS issues, some were RMS issues that could not be solved, some were for cracked heads, some were for porous castings, some were just service manager’s taking the easy route to making a customer happy. Porsche took all of the motors back for analysis. most were re-manufactured with upgrades and these went back into the system. These days we rely on the experience of knowledgeable independent repair people, but they only see cars with problems so they have a biased view.